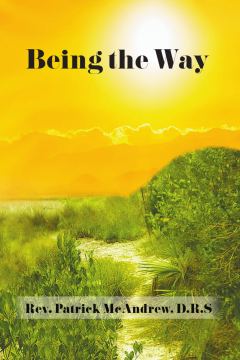 Being the Wayis a collection of personal experiences and insights blended with a very different view of the journey Jesus took after his baptism on the River Jordan, which led to his living in an awareness of Heaven’s Presence. Being the Way will invite you to join him on that journey, letting go of what was, so you can step into and embrace an entirely new way of being and seeing the world. 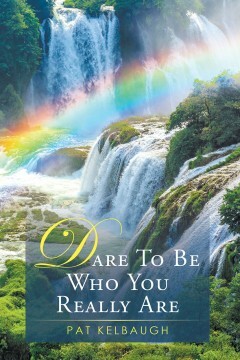 Remember Jesus said, “All things I do and greater still you will do if…” This is a book of hope and shares a message your soul is longing to hear, one tugging at your heart, which could transform the world. 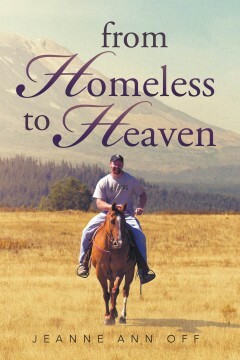 Patrick is a friend, a counselor, a mentor and a teacher who provokes insights into an awareness of Heaven’s Presence. Many years ago, Rev. Patrick had a powerful life-changing experience that changed the way he saw the world and guided him to pursue being the way Spirit invites us all to be. Since that pursuit began he has attended many transformational workshops lead by a variety of well-known figures, attended ministerial school and was licensed and ordained as a minister in 1997. In 2017 he earned a Doctorate in Religious Studies. HAVE YOU HEARD that Allah’s followers constitute the world’s fastest-growing religion? That Muhammad was mankind’s greatest and final prophet? That the Bible is unreliable and the Qur’an is God’s ultimate revelation? In Burning Questions About Islam—A Panoramic Study for Concerned Christians, Wilbur Lingle tackles those claims. Here, in language everyone can understand, Lingle provides readers with a comprehensive survey of the history, beliefs, and fallacies of Islam. Using passages from the Qur’an and the Hadith, he provides information and details aimed at creating a better understanding of the beliefs and practices of the followers of Islam. 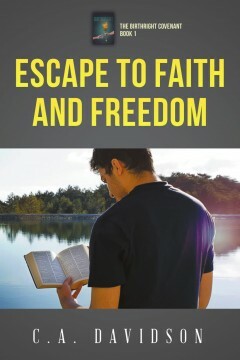 He also gives readers practical suggestions on how to engage its followers with the truth of the Christian gospel. Burning Questions About Islam gives readers the tools they need to witness to Muslims in an informed and nonconfrontational manner. WILBUR LINGLE received a B.A. and M.A. in Bible from Bob Jones University. In 1989, he began Love to Share Ministries, an outreach program to teach Christians how to witness to those of other religions, including Jehovah’s Witnesses and Mormons. 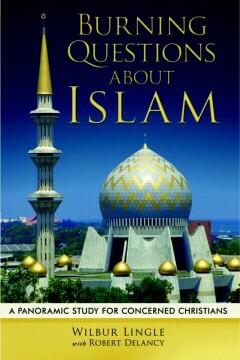 Burning Questions About Islam is his fourth book. 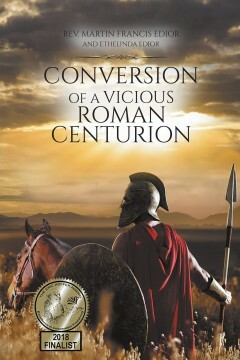 This book is about a vicious Roman Centurion soldier whom was commissioned by the Jewish leaders to travel to various regions and kill or imprison any Christians who were practicing the doctrines of Jesus Christ. But on his way to Damascus, a bright lightning struck him off his horse and when he fell off his horse, a voice instructed him of his new assignment. He was converted into the Christian faith and for this he was no longer useful to the Jews. They captured and put him into prison for persecution. Rev. Martin Edior is a native of Trinidad. He has written many other religious issues. He is an anointed minister in the C.O.G.I.C. He likes to pray and lay hands on the sick and afflicted. He is married to a lovely lady from Belize, Central America and is very happy with his marriage life. His lovely wife is his editor. 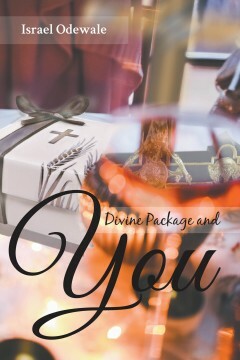 The book ‘Divine Package and You’ is an attempt to bring a major theme of the Christian faith into a broader focus. In doing this, it takes a swipe at what the author considers as a breach in contemporary Christian teaching. He therefore urges Christians to move from the shadow to reality, from milk to solid food, and reject the trash for healthy food. Like Berean Christians, we should expose every teaching and doctrine to the searchlight of the Holy Spirit making the Holy Scriptures our reference point. We should examine every teaching and hold on to the truth that will set us free. This book is an eye-opener and a must-read for every Christian, both the clergy and the laity. No one can read through it and remain the same. Be blessed as you read through it. The author, Israel Oladipupo Odewale was born in Gbongan, in Osun State of Nigeria. According to him, he was given strict religious upbringing by his parents who were ministers in the Anglican Communion. His father wanted him to go into the ministry after his university education but he chose to go into teaching. After a brief stay in teaching he proceeded to join the Nigerian army where he retired as a Lieutenant Colonel. It was there he became a born-again Christian. He recalls that his time in the army was the best period of his life as he experienced the Lord first-hand and was able to touch many lives for Him. Although he faced much persecution, he could not be intimidated. After his retirement from the Nigerian Army, he came to Britain where he established a church in London called ‘Narrow Way Christian Fellowship’ which he now co-pastor with his wife, Mrs Francisca Olajumoke Odewale. They are blessed with children and grand-children. Can God be truly a Righteous Judge? Some of these books are available from the contacts above and at Obafemi Awolowo University Bookshop, Ibadan University Bookshop, Baptist Bookshop Ibadan, CMS Bookshop Ibadan, all in Nigeria; and the Amazon. 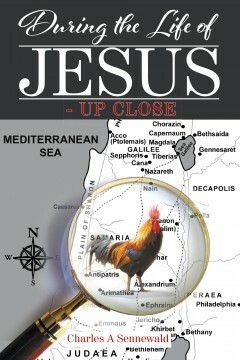 The life and times of Jesus and the world he lived in has been told countless times and ways. This work’s objective was to seek out and pull together facts often overlooked or not explored before, e.g. how many Christians know it was an African black man who helped Jesus carry the cross? Or, a passage spoken by Simeon at the presentation in the temple is repeated in Christian services to this very day? Or, there was only one witness that spoke up for Jesus during his trials that Friday morning? Know who it was? The author, a retired security consultant has spent a lifetime involved in crime detection and prevention. He holds a BS in Police Science and taught at CAL STATE LA. He has authored 21 professional and college textbooks, and one novel. He was a sought-after expert witness on negligence in and foreseeability of crime in civil trials across the country. He founded the Intl Assoc. of Professional Security Consultants (IAPSC) in 1984 and has lectured internationally. He’s a Christian layman with a keen interest in exploring our Lord’s life and times. Mr. Sennewald’s academic interest and professional skills uniquely qualify him to assemble the fascinating details and facts that comprise this book. BENJAMIN BENAMOZ FLEES FOR HIS LIFE from the Empire's tyranny. He finds freedom and faith in Christ, but even in America, vicious enemies seek to wipe out his people and their cherished way of life. 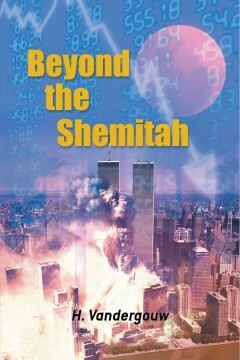 As Western Civilization hangs in balance, Ben must restore the ancient birthright to its sacred place. Can he fulfill his epic quest before it's too late? C.A. DAVIDSON grew up during the Cold War era, so she writes about the deadly assault on the Judeo-Christian culture that she has seen for herself. Her deep love of faith, family, and freedom has inspired the creation of the Birthright Covenant trilogy. Her mission is to help parents recapture, restore and transmit the biblical values that are heart and soul of Western Civilization, and that are key to the very survival of liberty for rising and future generations. The inspiring story of Frances known for his courage in speaking the truth, known for his faith and love for the Holy bible. A man despised by many in antebellum times, but loved by others. His story, a Baptist minister, inventor, college professor and dairy farmer, intertwined in this book with our cousin Jermain W. Loguen, runaway slave, Pastor of the American Methodist Episcopal church. 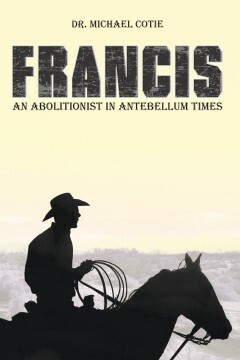 Excerpts from an autobiography written in 1858 are quoted and whose life and station surely influenced Francis to become “An Abolitionist in Antebellum Times”! Michael W. Cotie is currently the pastor of a small Baptist Church in Dayton Texas. Dr. Cotie attained his Bachelor’s degree from Louisiana Baptist University and attained a thM and a thD from Slidell Baptist Seminary. The Great-Great-Grandson of the title character Francis Marion “F.M.” Logue. Dr. Cotie was inspired to write “Francis an Abolitionist in Antebellum Times” as he read many of the things written about this man. Inspired by his Great-Great-Grandfather’s courage as “An Abolitionist in Antebellum times” hope you enjoy this inspiring story.